EOXLive is designed for performance and usability. EOXLive is built with scalability and security in mind. The platform is built on top of the line infrastructure to provide secure trading environment for all participants. 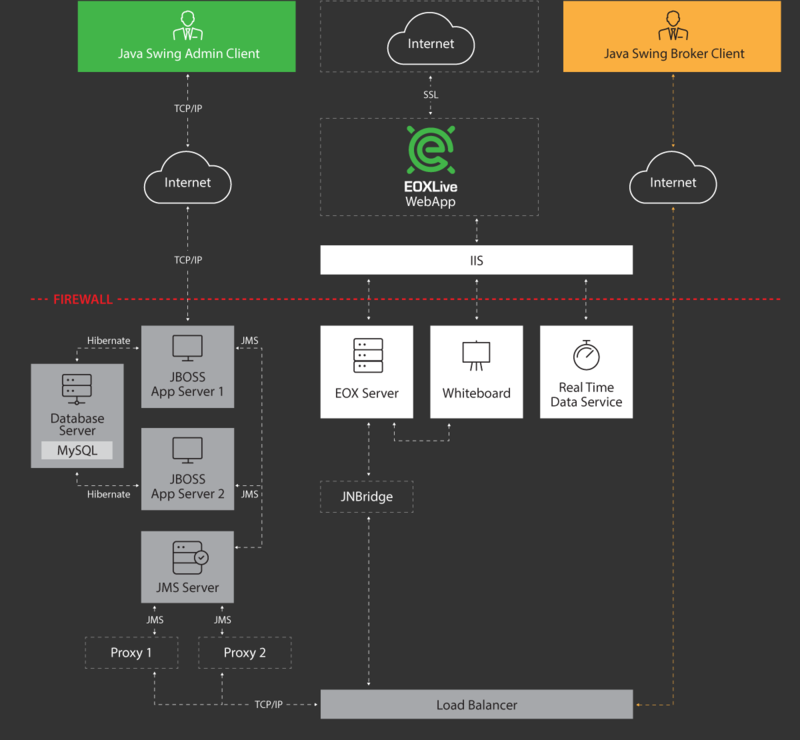 EOXLive’s distributed architecture and plugin-and-play modular framework allows for platform flexibility, availability, and reliability that is able to meet diverse market demands. Built fully in-house EOXLive is more agile than the standard off-the-shelf vendor software allowing for the platform to stay atop of the latest technology and industry trends.